The Quest for Quality Awards seek to acknowledge outstanding service by distributors and manufacturers within the integrator industry. 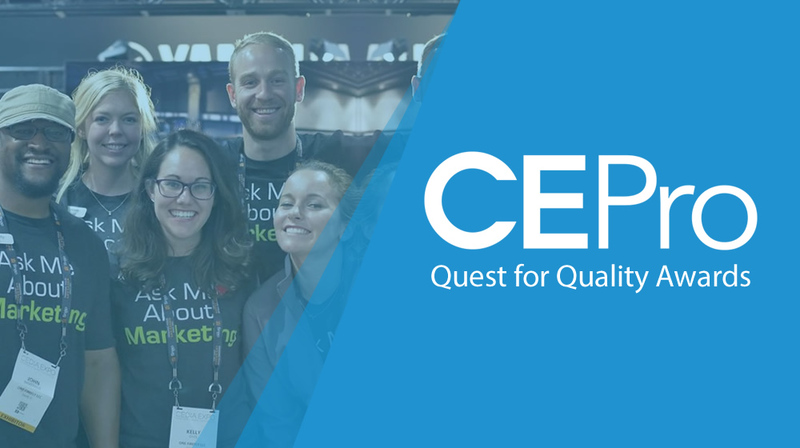 CE Pro, the leading trade publication for professionals involved in the custom electronics business, surveyed more than 7,400 integrators to identify the companies that went above and beyond to provide top-quality support. The “Category Kudos” section, according to CE Pro, recognizes companies that were passionately praised by dealers, yet did not have the voting numbers so easily accessible by larger companies. One Firefly attributes that recognition to their continued focus on innovation & growing a dynamic, supportive team.